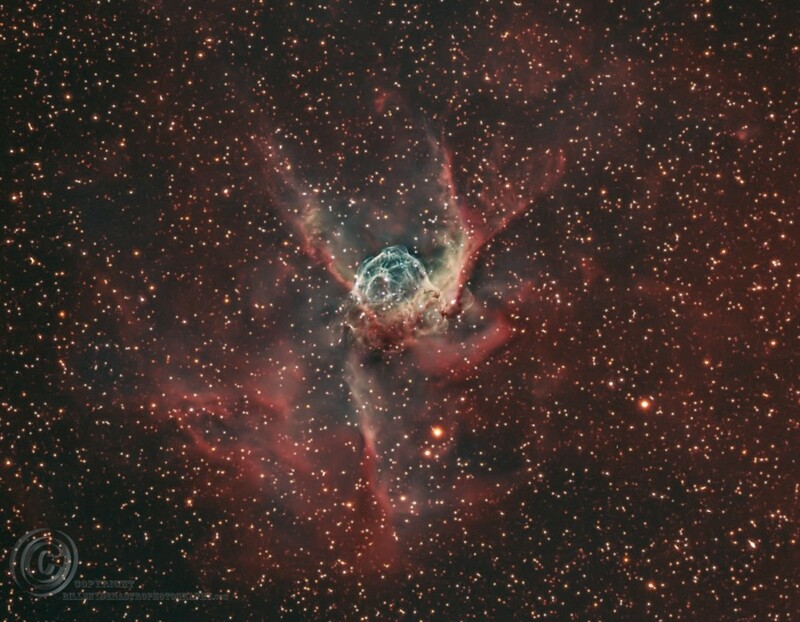 Thor’s Helmet is about 15,000 light years away in the constellation Canis Major and 30,000 light years across. 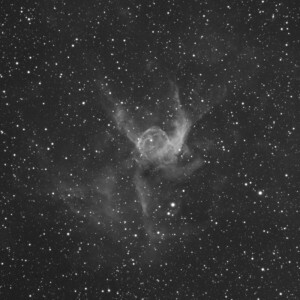 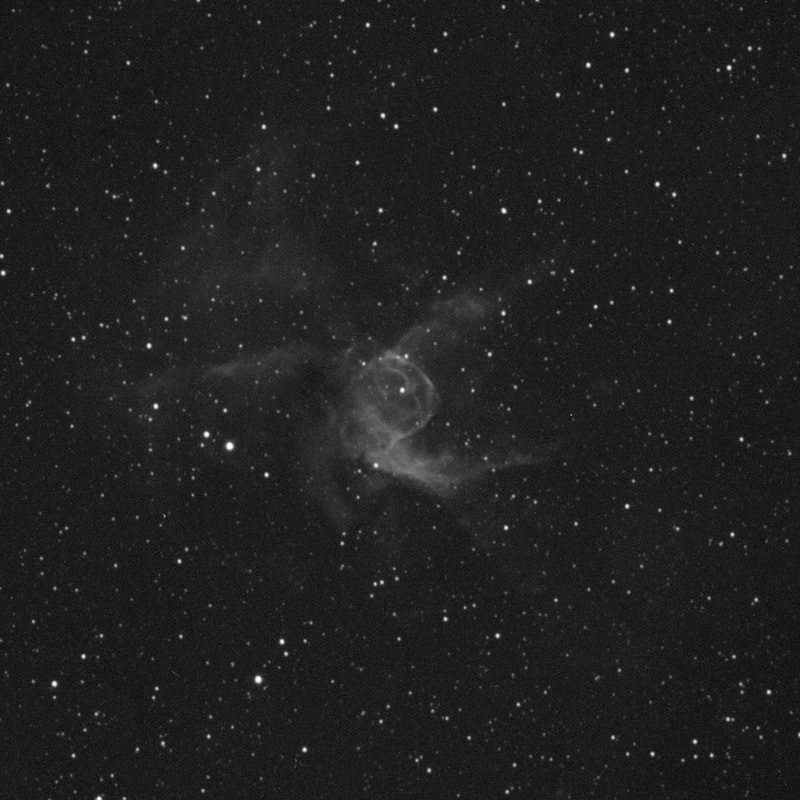 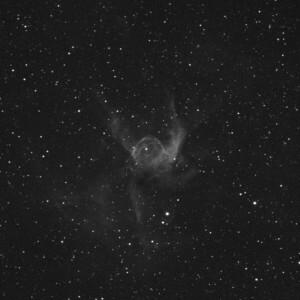 This is a rather low object for me to shoot here at 40 north, it was imaged at an average of 30 degrees for approximately 16hrs. 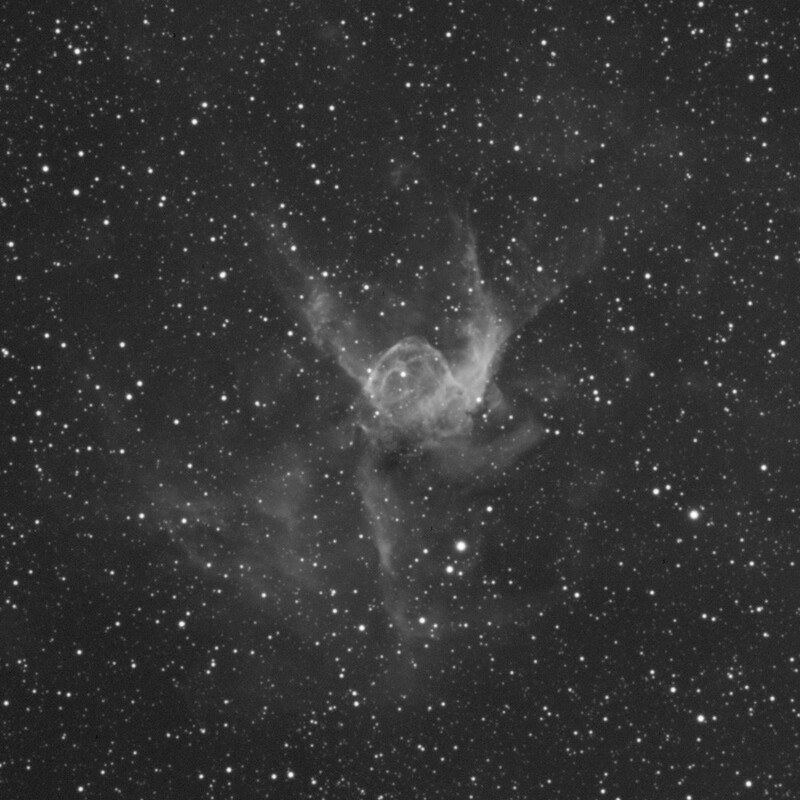 This is a Bi Color version produced with only Ha and OIII assigned to the Red and Blue channels then combining the 2 gases together for a synthetic Green channel.